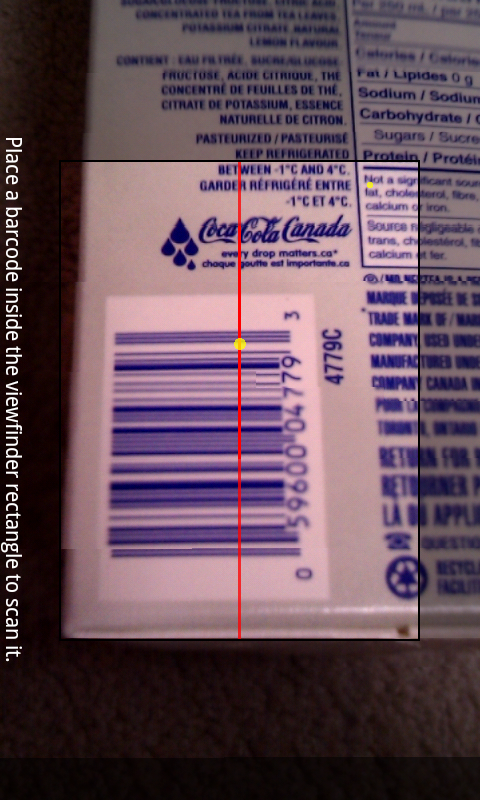 The bar code scanner works great!!! I would love to be able to publish/share my lists with….like wish lists. Anything in the works? Thanks! Hi Zaynab, thanks for your feedback. We may consider adding wish list in the future, but it may take a while before the feature is available. Thanks! My barcode scanner doesn’t seem to be working. Everytime I try to scan an item it tells me that there is a network error. Could this be an issue with compatibility with my phone? I have the Droid Bionic. Nevermind I just hadn’t installed the barcode app. Thanks for a great product. 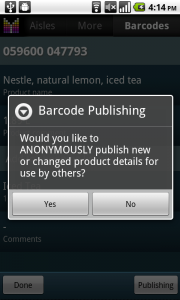 Just bought the full version .. but should consider that the app include the option to enter the barcode manually, since it does not always work, although indicating that it is compatible with your phone model … a real disadvantage when compared to other programs scan bar codes. It’s a shame, because the Mighly Grosery is a very good and useful app. Kattia, thanks for your feedback. We will consider adding manual barcode entry in the app going forward. Thanks! 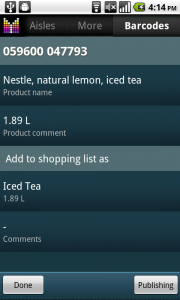 I think it’d be great if a user could see the past history on a “per item” basis. 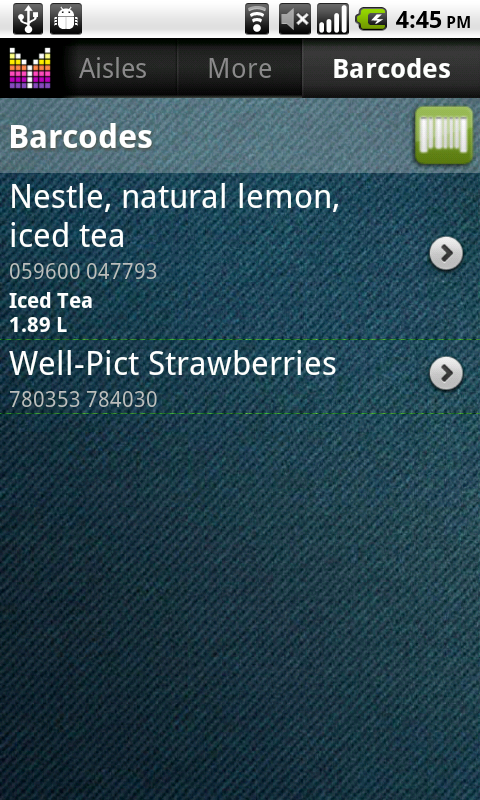 For example, it’d be really nice to be able to see the different prices I’ve paid for milk in the past. Just a suggestion! Heather, thank you for your feedback. Kindly note that you can see item price history by clicking Link button (upper-left side of Edit item screen) –> Show price history. can I use goggle goggles for my scanner. If so, how? Ron, unfortunately, no. 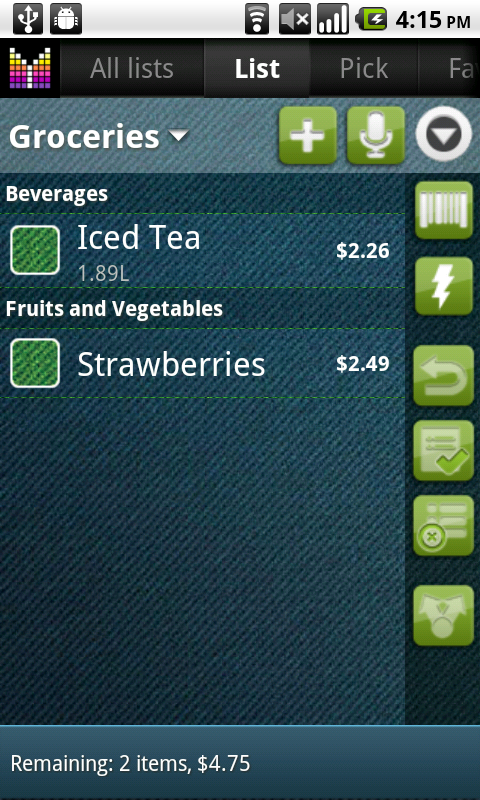 Only Barcode scanner app is compatible with Mighty Grocery. Please enable copy and paste from the Barcode section. Without it, this section is not useful. Doug, thanks for your suggestion. Kindly note that Barcode section is for information purposes only. If you’d like to add product associated with your product to a shopping list, just use the Pick list, Favorites, or History. 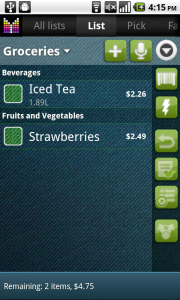 All barcodes scanned in shopping lists are stored in the app for future use. I’m tempted to buy a bluetooth laser scanner like the Motorola Symbol CS3070 bluetooth scanner or Microvision ROV. Using the camera works, but it’s not very good. The price is a little high but affordable. Are these laser scanners compatable with your software? As with Stan’s question, I have found third party software that will allow you to scan the number into a textbox field. This option seems like an foreseeable addition to the program that could happen now. Unless near field communications is closer to reality. Unfortunately, manual barcode entering is not allowed in Mighty Grocery therefore external bluetooth scanners are incompatible. 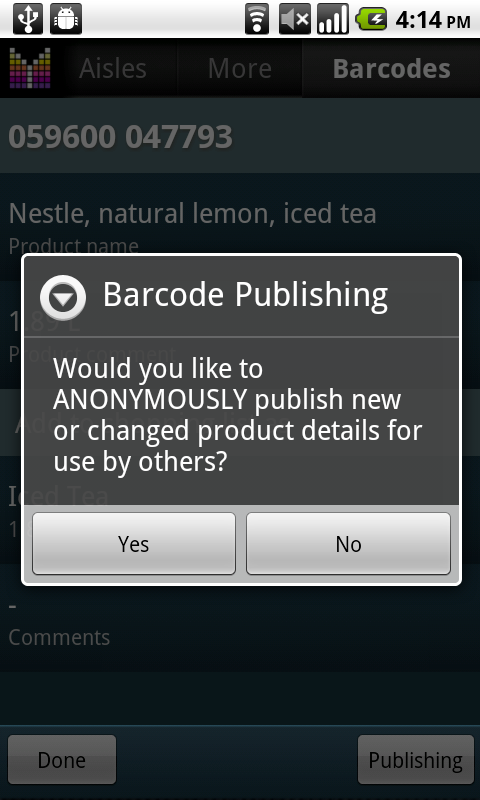 However, we may allow entering barcodes in a text field shortly. Would like to keep up with my clipped coupons. Scan new ones in and scan used ones out. ???? Hi Tim, thanks for your suggestion. 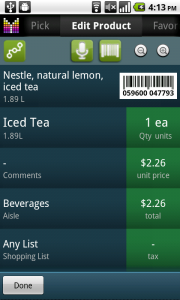 We will consider this improvement as part of the planned enhancements to the Coupons feature. 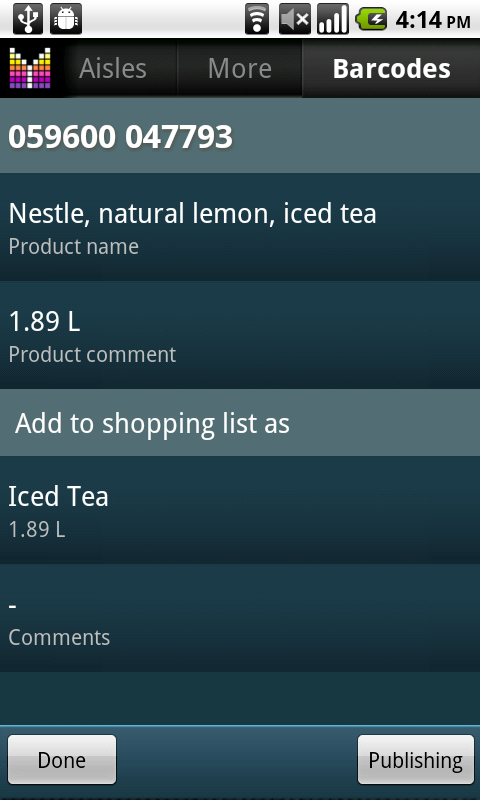 I can’t seem to add my scanned item to my shopping list. I see the item listed under scanned barcodes but I can’t find it in my products and when I search nothing comes up. Am I doing something wrong? Hi Lainey, thanks for your question. 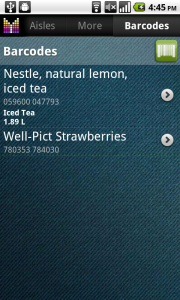 Kindly note that in order to add items to a shopping list, a barcode has to be scanned under the shopping list. 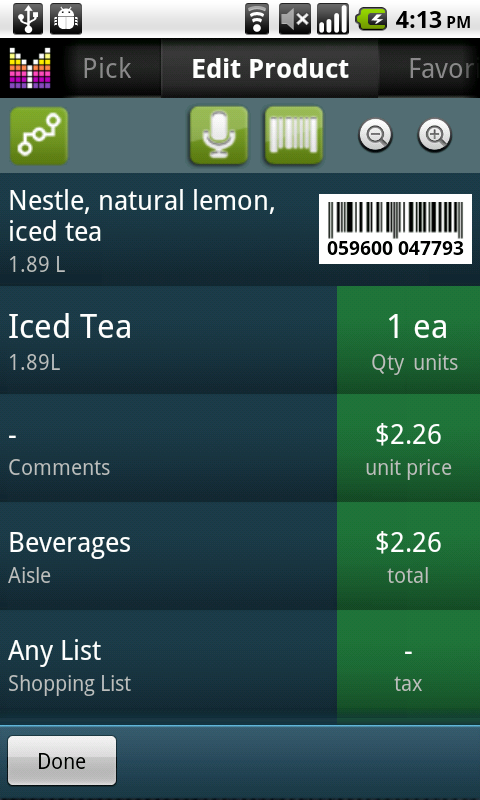 Just go to a shopping list –> open the Side bar (button in the top-right corner) –> Barcode icon. When you scan a barcode, it should be added to your shopping list. Is there a way to manually type in USP codes instead of scanning? Stan, unfortunately, no. 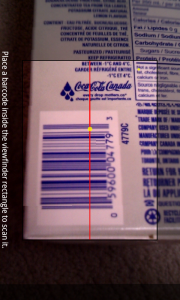 It is only possible to scan barcodes in the app. We may consider adding manual UPC entry going forward.